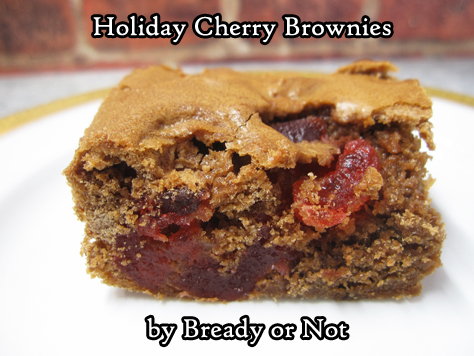 These chewy, classic brownies are loaded with the candied cherries usually used in fruitcake, adding fantastic sweetness and undeniable holiday flare. Preheat oven at 350-degrees. Line a 13x9 pan with foil and apply nonstick spray. In a bowl, combine the sugar, flour, cinnamon, and salt. Stir in the chocolate mixture. Follow that up with the eggs and vanilla until everything is smooth. Fold in the cherries and walnuts. Pour batter into the pan. Bake for 35 to 40 minutes, until the center passes the toothpick test. Completely cool. Use foil to lift brownies on cutting board to slice up. Store in a sealed container.